BRYAN EATON/Staff Photo. 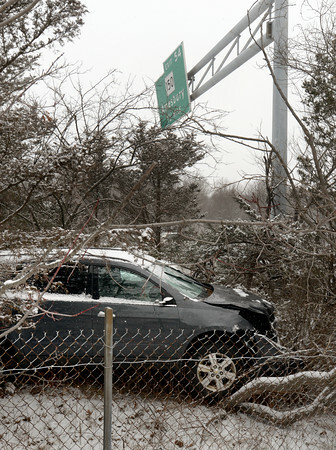 One of several cars that went off the road on Interstate 495 northbound in Amesbury just before the Route 150 offramp. In one of the accidents two people were taken to the Anna Jaques Hospital.